Entrance: At the corner of Zanddijk and Middenvliet. Falga is a very peaceful and beautiful wide beach. The left side of the entrance, between pole 4.09 and pole 5, is intended for naturists. This is an unsupervised beach with no facilities (only an unguarded bicycle parking). Toilets and restaurants can be found at the adjacent beach entrances “Duinoord” and “Zandloper”. These can be reached by foot. 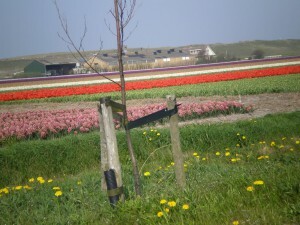 In springtime you will find beautiful flower fields in the vicinity. 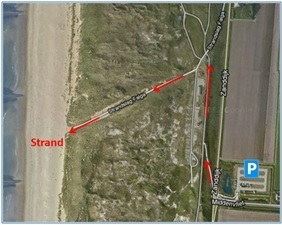 Throughout the dunes, there are various cycling and walking routes. Information is available at the tourist office of Den Helder (VVV). 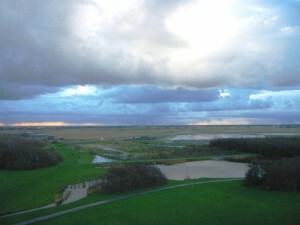 A little further on are the nature parks “Donkere Duinen”, “Helderse Vallei” and “Mariëndal”. The beach is easily accessible by bicycle. If you come by car, you can park for free at the corner of “Zanddijk” and “Middenvliet”. From there it’s a 5 minute walk to the beach. This beach is not suitable for the disabled, due to a narrow footpath and a steep entrance.